The Moto jacket for women from the Nike Tech Fleece Aeroloft Collection 2015 has got a slim, feminine shape and is in addition to the soft and warming Tech Fleece equipped with down on the whole back and at the level of the ribs. 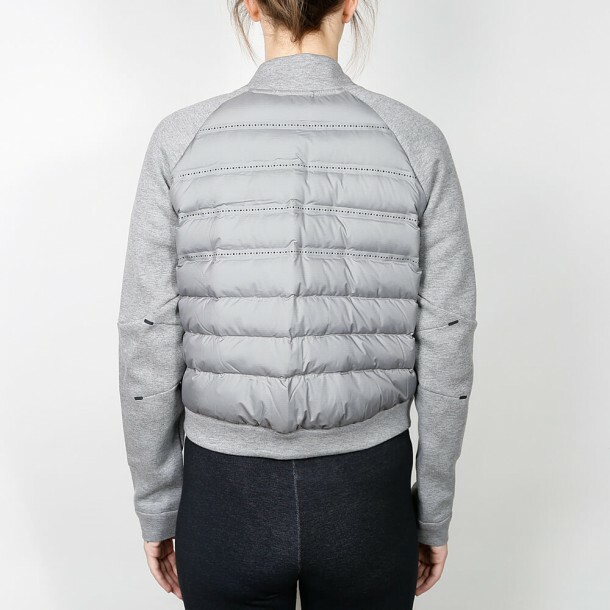 The minimalist light grey colorway gets its contrasts due to the side-on zipper at the front and zippers of the pockets. The Moto jacket combines its smart design with the functionality of the innovative Aeroloft and Fleece technology that both make it the perfect outdoor jacket.